Spring is here in our beautiful city. 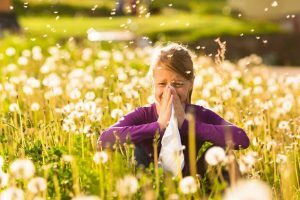 Along with the sunshine and new blooms, this is also the time many of us start to suffer from our allergy symptoms. Allergies can be exhausting! The itchy eyes, runny nose, cough, brain fog and fatigue can make our daily activities seem more difficult. The great news is there are many natural supplements that can help ease our allergy symptoms. Diet is a very important part of preventing and reducing seasonal allergies. Sugar, processed foods, dairy and food allergies or food sensitivities can all affect our immune system and make our allergies worse. I recommend cutting processed sugar and dairy products from your diet to see if it helps reduce your allergy symptoms. Sugar weakens our immune system and dairy increases mucus production. Together these foods can trigger allergic responses to allergens in our environment. Studies show people with grass allergies can also react to tomatoes, apples, peach, melon, eggs, and wheat. Those with ragweed allergies may also have an allergy to cucumbers and melons. To find out exactly what foods your immune system is reacting to, I suggest a food sensitivity test. A simple blood test can find out what foods you should be avoiding to strengthen your immune system. 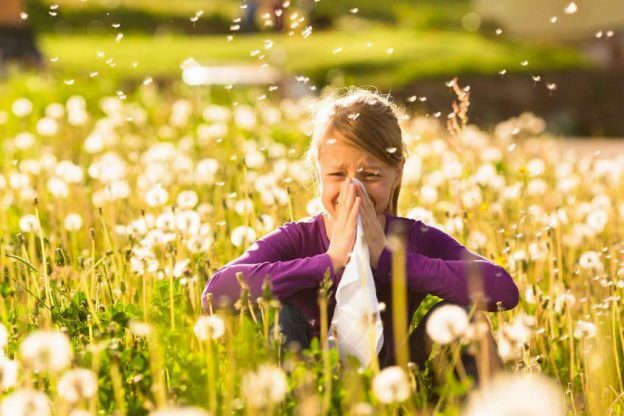 Natural supplements can be very beneficial in reducing seasonal allergy symptoms. They act as anti-histamines. My favorite natural anti-histamine is Quercetin. This is a bioflavonoid that stabilizes mast cells and reduces the release of histamine. Histamine is mostly responsible for the allergy symptoms you experience such as sneezing and runny nose. The second supplement I recommend for seasonal allergies is Vitamin C. This is a natural anti-histamine as well as immune stimulant. The minimum dosage is 1000mg 3x/day or up to bowel tolerance. The third supplement is fish oil. There is a lot of research showing the link between fish oil (omega 3) supplementation and a reduction in asthma symptoms. I find adding fish oil as a supplement is beneficial in reducing overall allergies. Lastly, Intravenous therapy can be very effective in reducing or managing allergy symptoms. Our Allergy IV formula contains 0.9% normal saline, vitamin C and a homeopathic combination for allergy relief. This is a popular IV during allergy season. Spring is my favorite time of the year. Enjoy the beautiful weather and don’t forget to take the time to enjoy the new blooms! This entry was posted in allergy, health, Tips, Vitamin C on April 25, 2018 by Tasreen Alibhai.